There is a saying that we become like the people we spend most of our time with. 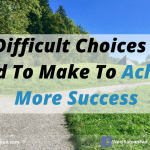 Therefore, if we want to be more successful in life, then it makes sense to be around people who have already achieved what we want to achieve. We will expand our network and circle of influence. We will accelerate our own achievement and success. We will increase our level of confidence as we will be moving towards what we want. We will shorten our learning curve as we will learn from the experiences of others. We will be able to share what we learn from them with others. One thing that may come as a surprise is that successful people are usually willing to share what they have learned via the mistakes they have made or things that made them successful. The good news is that it is not as challenging as we think it is to be mentored by successful people. There are ways to convince or persuade them to mentor us. Before I wrote my first book, Hoops and Freedom, as I have never written anything that was published previously, I had no clue as to what were all the steps to get a book written and published. One of the first steps I took was to speak to a few people who had written books. Most of them were more then happy to share their insights and experiences, which surprised me initially. Others invited to join their mentoring programs, which I also did. Having mentors really helped me avoid making major mistakes during my book writing and publishing journey. The funny thing was I still made a lot of mistakes, which I was able to learn from and avoid for my future books. There are a number of things we can do to convince someone to be our mentor. 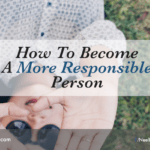 Keep in mind, there will be times when convincing a successful person to be our mentor will require a financial investment, as many successful people offer paid mentoring programs. 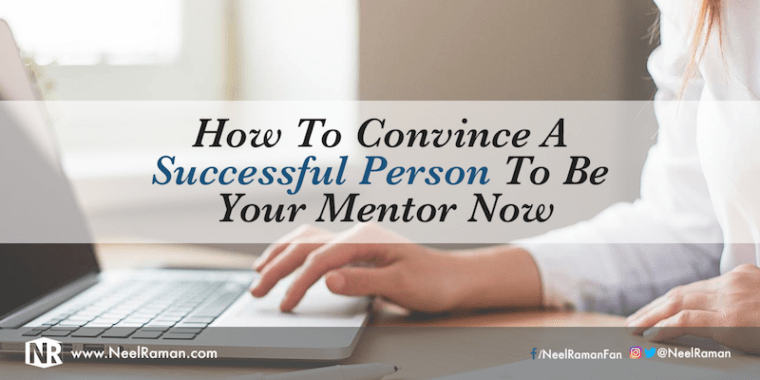 Here are five steps we can take to be mentored by a successful person so that we too can also emulate the successes they’ve had. Add value to them first. There is an old adage that “givers gain.” If we start assisting them first and help them reach their objectives, it will not go unnoticed. It shouldn’t just be a one-time effort either. Assisting them can be in the form of sharing the content on different social media platforms, commenting on their website or blog, or provide a review for their services or products. 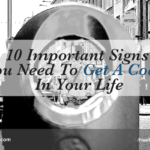 These will all be noticed and appreciated by the person you want to be your mentor. Look for alignment in what you do and what they are doing. There is value in finding out what they are working towards and looking for how we can support them get to their outcomes faster. Oftentimes we will find that what they are working towards and what they offer will be of interest or value to our audiences so that will end up being a win-win situation for them and our audience. Share your vision and how it can also support them. Building on looking for alignment, sharing what we are trying to do and where we want to go is a good way to get the attention of the right mentor. If we can get them emotionally connected to our visions as well, and describe how it will also be of benefit to them, we have a much better chance that they will agree to mentor us. Simply ask them to be your mentor. Sometimes it can simply come down to having the courage to ask them to be our mentor. We must be able to convince them that we are committed, and also show evidence that we are serious about acting on the instructions or advice they provide. A quick way to lose trust with a mentor is not to follow through on their advice, if we have agreed to do so. Invest in their programs or buy their products. If we are serious about wanting to go to the next level, then we must be willing to invest in ourselves. 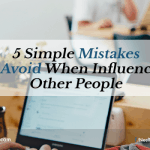 If there are successful people we are attracted to and interested in learning from, then sometimes we have to buy our way into their circle of influence. 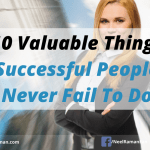 If it’s important to us, then we should be willing to learn from successful people by hiring their services or investing in their mentoring programs, if they offer them. If we want to continuously improve the results we get, we must be willing to learn and apply new things in our lives. Having mentors is one of the best ways to accelerate our progress and reach new levels of success. If we aren’t willing to learn from successful people, then we will more than likely stay at the same level we are currently at, or at best, make small improvements over a period of time. Action Step: Identify at least one person you would like to be your mentor. From the list above, choose at least one idea and start applying it so that you can be mentored by them. Question: What is another way to convince a successful person to mentor us?